Located in the heart of Springfield, the leading health professionals at Springfield Family Chiropractic, PC are dedicated to helping you achieve your wellness objectives -- combining skill and expertise that spans the entire chiropractic wellness spectrum. Dr. Gary Miller is committed to bringing you better health and a better way of life by teaching and practicing the true principles of chiropractic wellness care. 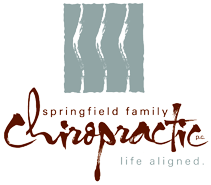 Patients seeking treatment at Springfield Family Chiropractic, PC with Dr. Gary Miller are assured of receiving only the finest quality care through the use of modern chiropractic equipment and technology. Dr. Gary Miller and the staff have a genuine concern for your well-being! If you are new to our website, please feel free to discover and learn about chiropractic wellness. If you are interested in starting your journey towards wellness please subscribe to our award winning newsletter. If you are already a newsletter subscriber, please explore the member wellness section of our website for wellness articles, resources, and health facts---specifically targeted by Dr. Gary Miller to your wellness needs and interests. "Dr. Miller is someone you can trust to take care of you and look out for your best interests. 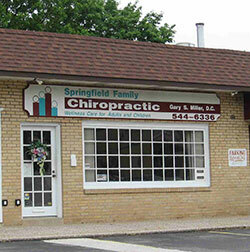 He is a great chiropractor and equally a great person." "Dr Miller was able to help me get mobility back in my neck and arms the day before my wedding. I pulled a muscle due to emotional stress and was barely able to move my neck all week, I didnt think I would be able to dance on my wedding day. I woke up the next day with little pain and mobility back!" "So thankful for Dr. Miller! He does great work!"